Cyberpunk 2077 will have multiplayer, but it won’t be at the expense of a single-player campaign. Of all the games a E3 2018, none of them garnered the same level of interest as Cyberpunk 2077, the upcoming role-playing game from CD Projekt Red. After the success of The Witcher 3, the hunger for details is overwhelming and gamers can’t wait to see what’s in store. Luckily, Shacknews was one of the outlets that was able to get some time with CD Projekt Red, where details like multiplayer and a potential crossover universe with The Witcher 3 were discussed. 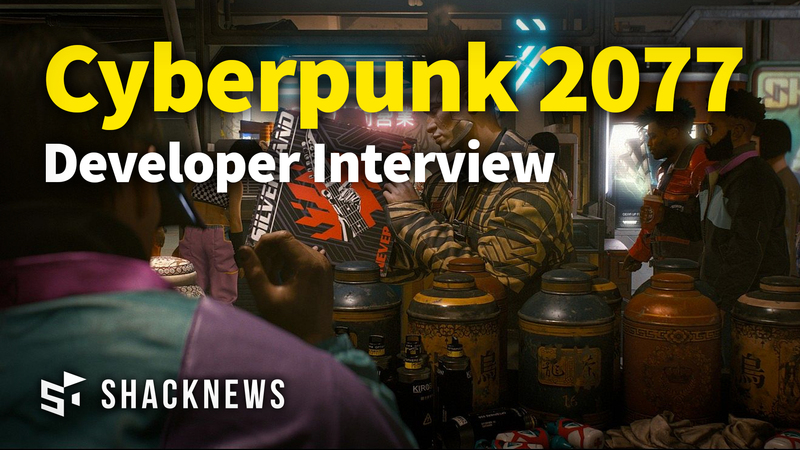 The most interesting point of the interview for me was the emphasis on how Cyberpunk 2077 would be a single-player game, with a multiplayer component that stayed true to CD Projekt Red. For that matter, the multiplayer mode is still in the R&D phase. As someone who is more interested in a single-player game than a multiplayer game, this is music to my ears. Multiplayer could be cool, but I’d never want it included at the expense of a single-player experience, and it doesn’t look like that’ll be an issue. For more videos, including gameplay and interviews, visit the Shacknews and GamerHub.tv YouTube channels, or our 2018 video game release date guide, for a list of upcoming games and the dates you can expect them to arrive. Nope. I only want single player. All sorts of balancing would have to go into co-op. Just give me a solid single player experience and don't waste time with crap that 1/100 people might care about. You mock, but a Cyberpunk 2077 BR mode with all those hacking abilities and gunplay, let loose within that beautiful cityscape... Ermagerd. oh... ohhhhh... okay, well I trust that what they do would probably be something dope. R&D is good. I agree, thats not what cdprojekt should be focusing on. They probably want to do some gta online type thing, but i think its probably a mistake.